For incoming freshmen, the spring semester was filled with application deadlines, admissions decisions and eager anticipation until May 1 – decision day. 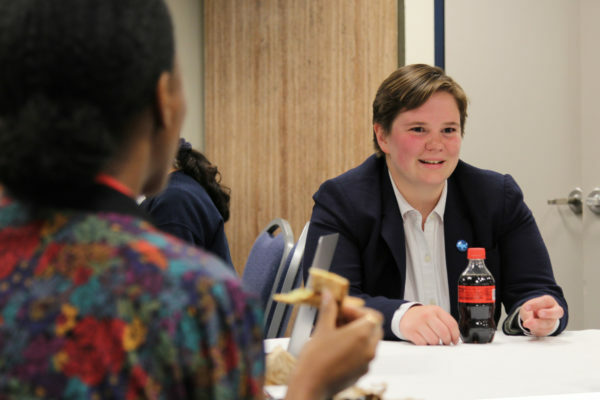 But while freshmen were deciding where to put down a deposit, GW was bustling with the departures of senior administrators, the introduction of new student life initiatives and an overhaul of Title IX procedures. From a racist Snapchat post to the French president’s visit to the Smith Center, take a look at the top 10 news stories you should read before you get to campus in August. LeBlanc began his tenure at the University last August with a focus on expanding research, improving the quality of student life and modifying GW’s bureaucratic culture. Last semester, LeBlanc merged the enrollment and student affairs offices, established a website to track his top priorities and started a task force focused on faculty research support. During his first year in office, more than 10 administrators left their posts, and the spring semester saw many high-level departures – including the University’s top financial administrator, the first vice president for research, two top leaders of the GW Police Department, the associate dean of students and three school deans. Former Student Association Sen. Imani Ross, U-at-Large, votes in favor of a diversity resolution during a senate meeting in February. On the first day of Black History Month, a Snapchat circulated around campus featuring a member of Alpha Phi holding up a banana peel with the caption, “Izzy: ‘I’m 1/16 black.’” In the wake of the post, the Student Association Senate passed a resolution calling for the removal of the sorority, and black student leaders also pushed for mandatory diversity trainings. 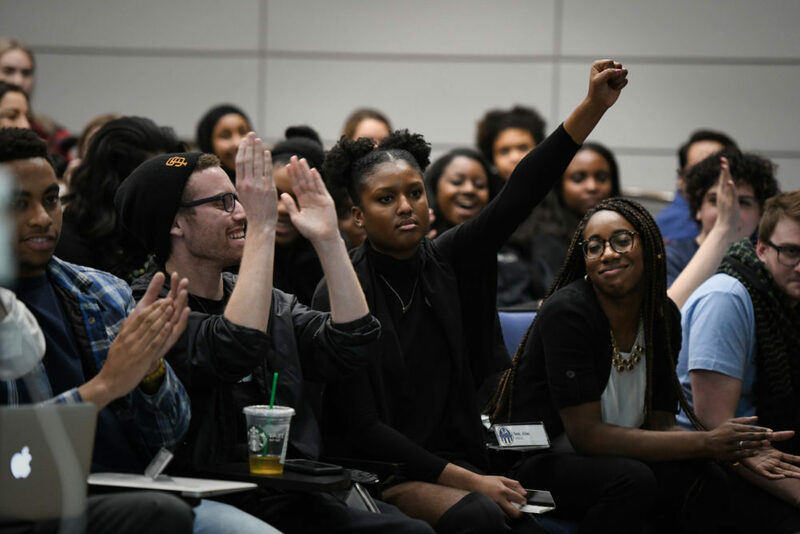 Following the incident, the University introduced a series of new measures aiming to improve race relations at GW – including diversity trainings for incoming freshmen and a new reporting system to investigate bias and discrimination on campus. Following a push from student leaders to combat food insecurity on campus, the Board of Trustees approved a boost in dining dollars for students at its February meeting. 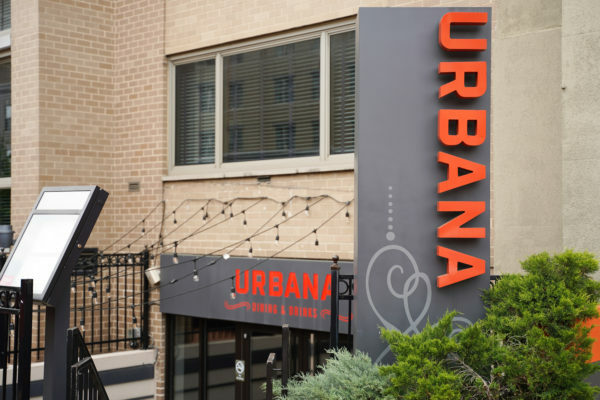 Students said the previous plan did not provide enough funds to account for the high cost of eating in Foggy Bottom. The new plan, which goes into effect this fall, gives $4,600 per year to students without a kitchen in their residence hall room and $2,800 to students with a kitchen. About 70 students gathered in Kogan Plaza to condemn the SA Senate’s decision not to censure a senator accused of anti-Semitism in April. Less than a day before students began voting for their next set of SA leaders, old Facebook posts from executive vice presidential candidate Brady Forrest resurfaced. In the posts, he called for a boycott of a multicultural event because it was co-sponsored by Jewish student organizations. Forrest claimed the organizations supported Israeli military action in Gaza at the time of the posts. The comments sparked accusations of anti-Semitism from Jewish student leaders, and more than 70 student leaders called for Forrest’s resignation from the SA Senate. The SA Senate removed Forrest from his position as senate pro tempore but failed to censure him, sparking condemnation from student leaders. Following discussions with student leaders about student health care concerns and broad accusations from the former leader of the CHC claiming that the center could not ensure quality care for students, officials introduced sweeping reform to student health care in April. Starting this fall, undergraduates will now be automatically enrolled in a standard health insurance plan and must submit an opt-out waiver if they already have insurance – a move that cut the cost of the plan from about $4,100 to $2,750. Officials also doubled the number of free mental health counseling hours available to students. But discussions about GW’s health care prices are far from over – graduate students said in the fall that the high cost of health insurance sparked unionization efforts, and last semester, organizers began hosting sit-ins and protests to convince administrators to recognize them as a collective bargaining unit. When officials announced that Marcia McNutt, the head of the National Academy of Sciences, would be this year’s Commencement speaker, students criticized the University’s choice, saying McNutt was not well-known and strayed from past speakers who specialized in politics or journalism. But in the minutes following an interview with a campus radio station that was posted April 5, LeBlanc defended the decision and said he could “live with” students’ dissatisfaction because the complaints came from “privileged” non-science students. 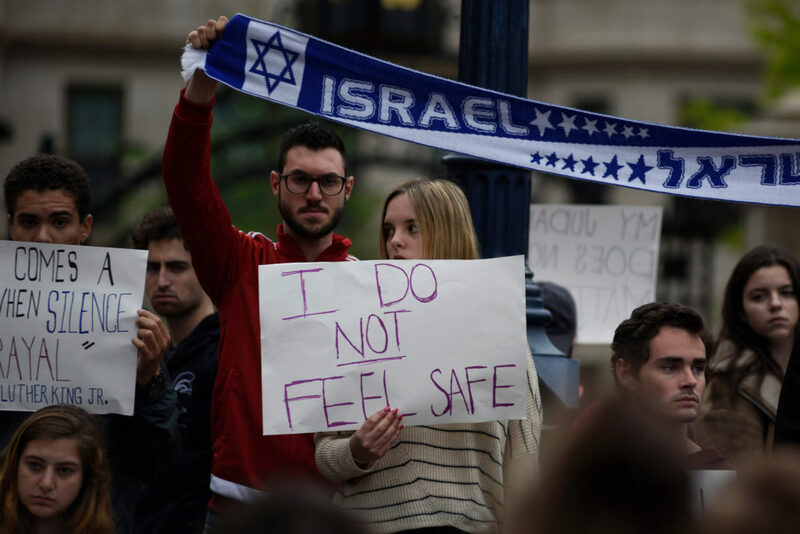 After the SA Senate approved a pro-Palestinian divestment resolution in April, Eden Vitoff, a former senator and a sponsor of the legislation, cried in celebration. 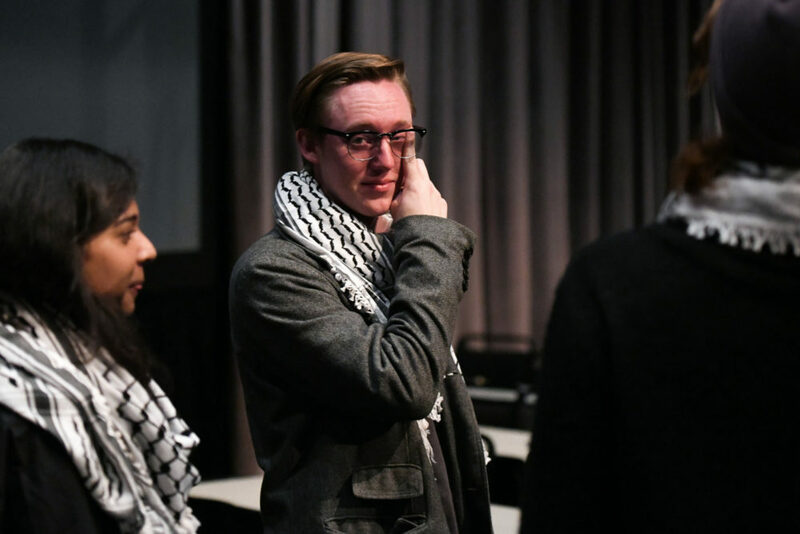 The SA Senate passed a contentious resolution in April urging the University to withdraw its holdings from nine companies that allegedly contribute to Palestinian human rights abuses. The vote was pushed back a week after SA senators received emails comparing them to Nazis and found threatening signs around campus. The resolution, which opponents said was anti-Israel and oversimplified a complex conflict, failed the year before by just one vote. 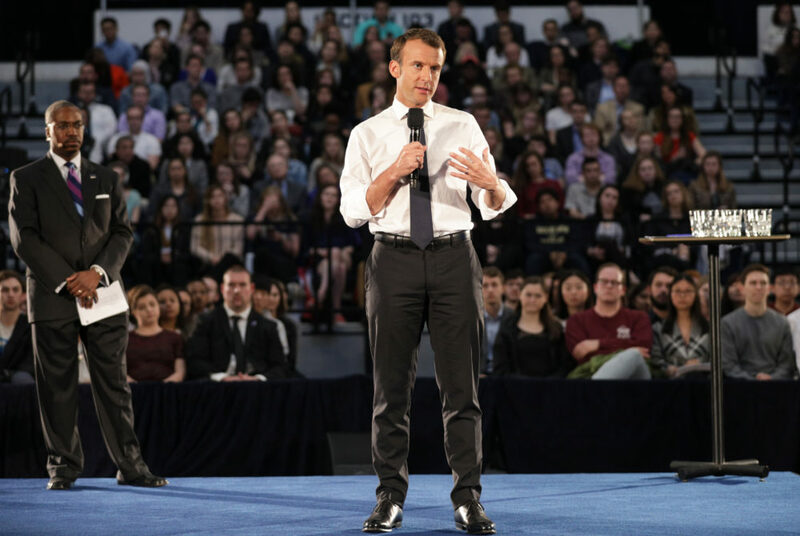 Like world leaders before him, French President Emmanuel Macron stopped by the Smith Center in April to hold a town hall for students after he visited President Donald Trump. Macron ate at Tonic and then walked down G Street to the Smith Center – encountering student protesters demonstrating against French airstrikes in Syria on the way. Students circulated a petition in April calling on the University to change GW’s nickname from the Colonials to a less “offensive” alternative, like the hippo, GW’s unofficial mascot. Organizers said the nickname is offensive to those who have experienced the negative effects of colonialism in the United States and abroad. After the petition hit 500 signatures, SA President Ashley Le responded to the proposal and said she would “consider available options to move forward” on the change. 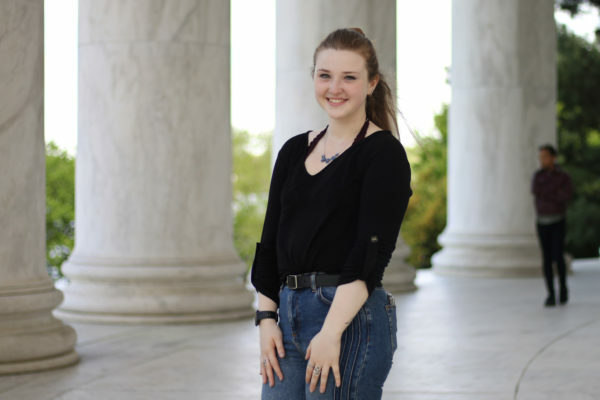 Amid criticism of GW’s handling of sexual misconduct complaints, officials brought in outside experts last summer to review the University’s Title IX policies. The review finished up in May and resulted in a new policy allowing a single official to investigate sexual misconduct allegations, replacing a six-member hearing board comprised of student and faculty volunteers. The policy also expanded the types of University employees that are considered mandatory reporters to include faculty members and academic advisers.